Let the Good Times Roll in Cleveland! It’s Time for Ceramics Expo 2018, See Us in Booth 152! 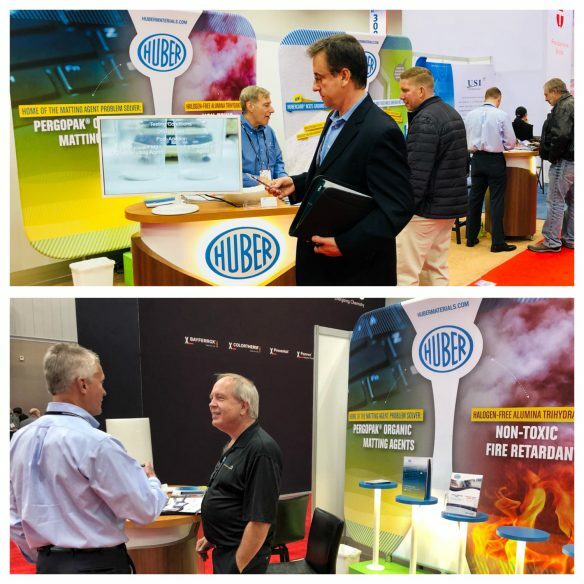 “遇见行业大咖，探索阻燃秘密” Huber Exhibiting & Presenting Technical Seminar at Chinaplas 2018! Huber Takes Victory Lane in Indy at American Coatings! Victory lane in Indianapolis this week at the Indiana (U.S.) Convention Center definitely belonged to Huber as we so enjoyed visiting with our many customers, prospects and distributors along with meeting friends both old and new as we exhibited at the American Coatings Show. Held every two years, the 2018 edition offered us the opportunity to discuss our wide array of high performing functional and high brightness extenders for a variety of coatings and related applications. Lots of interest over the three days focused on our exclusive and unique Pergopak® organic matting agents, which are designed to reduce gloss in special industrial coatings and overprint varnishes. American Coatings this week was a fantastic experience and we look forward to following up soon with everyone who stopped by to visit with us. Keep in mind you’re always only a click away from visiting victory lane and talking with us even if you’re unable to make a special event like American Coatings. We look forward to hearing from you and are excited about working with you on your next formulation. We’re Racing Again to Indy! See You Next Week in Victory Lane at American Coatings!